Siveco China, founded in 2004, is a pioneer in the development of Smart Technologies for the Operation & Maintenance of infrastructures and industrial plants, with a focus on mobile solutions "for the worker of tomorrow". Long before the terms "smart" and "4.0" were coined, Siveco has been helping clients optimize the lifecycle of their assets and ensure regulatory compliance using IT. Based on a long experience of "maintenance with Chinese characteristics", the company has developed a unique approach combining expert maintenance consulting and innovative solutions designed in its Shanghai-based R&D center. Siveco China has over 850 customer sites all over Greater China and on the Belt & Road, including ABB, Baosteel Metal, Beijing Environment, Capital Water, Carrefour China, CEPSA, CNEEC, CNOOC, COSCO, Fushun Mining, Engie, Everbright, GE, New World Development, Saint-Gobain, Shell, Suez NWS, etc. The company boasts a growing export business, working alongside Asian EPC companies and with international clients in Southeast Asia, the Middle-East and Africa. Siveco China has won numerous awards, most recently the prestigious Top Ten Enterprise for Asset Informatization Service by the China Association of Machinery Equipment Maintenance and Renovation (CAMER) and Best Industrial Software 2017 by Control Engineering China. Previous awards include Plant Engineering Product of the Year 2012, CHaINA Supply Chain Excellence Award 2013 and Engineers' Choice Awards by Plant360 in three categories in 2015. Siveco is ISO 9001-certified by Bureau Veritas for its entire scope of business. The company is headquartered in Shanghai, where it also operates its R&D center, and has offices in Hong Kong. Siveco China is a subsidiary of Siveco Group, a European pioneer in computerized maintenance management systems (CMMS). Siveco China publishes the "Smart Operation & Maintenance – for the worker of tomorrow" newsletter dedicated to maintenance management, bilingual English and Chinese, available to subscribers and online. The company boasts a growing export business, working alongside Asian EPC companies and with international clients in Southeast Asia, the Middle-East and Africa. 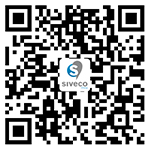 Siveco China publishes the "Smart O&M" email newsletter dedicated to asset management, bilingual English and Chinese, available to subscribers and online.